This month I’ve decided to spend a lot more time on my skin. I’ve never had a problem with acne or oily skin, so washing my face when in the shower was the most time I dedicated to it. Envious? Don’t be. When you’re not used to working to keep your skin clear, you can fall into the habit of neglecting it. Taking care of your skin is incredibly important, especially if you want to stay looking youthful. Being a California native I’ve spent plenty of time sun bathing. Having an olive complication thanks to my Middle Eastern roots, I never worried about sun block. While others slathered on the sun screen, I laughed. That’s come back to bite me in the a$$. Sun screen is vital to the health of your skin. The sun’s rays don’t just make you more susceptible to skin cancer, they also cause your skin to lose its elasticity. Too much exposure to the sun can cause wrinkles, sagging, and freckling. To protect your skin, avoid sun bathing for multiple hours a day or hitting the tanning bed. Always put on sun screen. I remember putting on the lowest SPF sunscreen I could find, don’t! Make sure to purchase something with an SPF of 30 or higher. 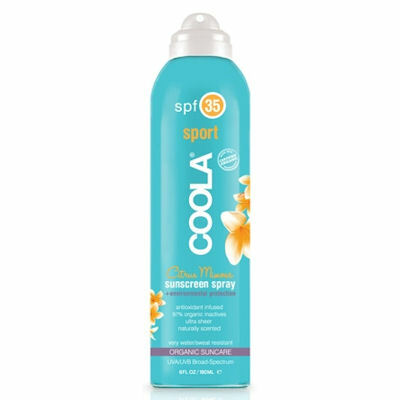 I hate rubbing in sunscreen, so I always opt for the spray-on versions like Coola organic sport sun screen. Purchase it here. Coola has enough SPF to provide protection without leaving your hands or legs white from residue. It also doesn’t seep out of your pores when it’s hot, like traditional lotions will do. I never was addicted to the tanning bed, but I definitely made visits at least once a month in preparation for the summer. Who doesn’t appreciate the effect of a tan? It can hide those pesky imperfections like nothing else. I liked tanning not just for the look it gave me, but because it relaxed me. Laying down in that warm bed would put me to sleep. I’d listen to some music and just let go of everything going on in my head. While I do miss this experience, it isn’t worth putting myself at risk for skin cancer, nor is it worth even the perfect tan. I’ve never been a fan of spray tans, but there are other options. Jergens Natural Glow will slowly increase the pigment in your skin without making you look orange. Clinque also has a fabulous product for $23. Buy it here. To help correct some of the sun damage on my face, I started researching moisturizers with SPF. My skin is naturally on the dry side, so applying a moisturizer after washing my face is mandatory. I read that ROC Multi Correxion 4 Zone daily moisturizer was rated by users as one of the top products for reversing sun damage and aging. 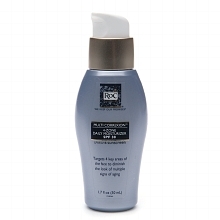 The ROC moisturizer, “targets four key areas of the face to diminish the look of multiple signs of aging.” The moisturizer has an SPF of 30 which is higher than many make-up counter moisturizers. The moisturizer claims to target the four zones of the face. It claims to diminish the signs of lines and wrinkles from the forehead, decreases the appearance of crows feet from the eye area, removes brown spots and uneven skin tone from your cheeks, and improves elasticity of the jaw line. The ROC 4 zone moisturizer can be purchased at Walgreens, CVS, Walmart, and Target for around $25 a bottle. This may seem expensive for the size of the bottle, but it’s cheaper than many brand name moisturizers that claim to do the same thing. To repair deep set wrinkles try L’OREAL’s Revitalift. Botox and similar services can be a scary experience and costly investment. I’ve never tried it myself, and horror stories keep me from making an appointment. I’ve known women who have had it, and I can’t say that I saw too much of a difference. If you do choose to invest in botox, make sure you don’t skimp on the cost in exchange for the right doctor. These days almost anyone can provide injections, so make sure you go to someone who knows what they’re doing. In the meantime Revitalift may provide you with the skin assistance you need. This wrinkle repair cream works overnight to bring elasticity back to your skin, and plumps up the gaps which create wrinkles and lines on your face. Users see results over time. I myself only started seeing results after a couple of months. Your wrinkles weren’t built in a day, so it won’t take a day or two to fix them. Dedicate the time every night and a.m. to taking care of your skin, and you’ll see the results. You can get Revitalift at CVS for just $15.99. Buy it here.